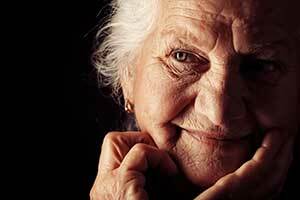 Floridians suffer from elder abuse and other injuries such as bed sores at an alarming rate. However, when we work with clients on these cases, we learn that they care more about the entire suit and not just the compensation that they would achieve, probably because they want to be informed and empowered about the dynamics of their action for justice. In this next section, we highlight many of the important structural and procedural elements of bed sore and nursing home injury cases in Florida so that you understand the nature and form of your lawsuit. Negligence: Florida negligence cases simply state that the defendant in question failed to live up to the standard of what a reasonable person would have done with similar facts and circumstances. Furthermore, this breached factually and legally caused the damages of the plaintiff. Medical Malpractice: Often, those who have suffered bed sores and elderly abuse in Florida bring medical malpractice lawsuits. This means that a health care provider failed to treat the plaintiff reasonably and that this led to the injuries in question. Wrongful Death: Unfortunately, many people in Florida die for bed sores and elderly abuse. If someone else’s wrongful conduct caused these injuries, then their loved ones can bring a wrongful death lawsuit to obtain compensation for the damages and expenses that result from the decedent’s passing. What Does a Lawyer Have to Prove in a Florida Elder Abuse Case? Call (800) 926-7565 Toll-Free for a No Obligation Consultation What Are Common Defenses in Florida Elder Abuse Cases? Pre-Existing Injuries: Expect defense lawyers to use your past activities and injuries to explain the injuries that you think the defendant caused. Lack of Misconduct: Most defendants try and play the saint. They complain that they did all that was expected of them and they still hurt you but they should not be legally responsible. Amount of Damages: Defendants spend excessive amounts of time not fighting your legal theories but fighting your math. Specifically, they will try to demonstrate that you are due the amount of damages that you claim, if any. Plaintiff’s Conduct: Defendants religiously counter that the plaintiff’s conduct amounted to negligence and that this should eliminate his or her right to obtain compensation. What Kind of Damages Do Florida Elder Abuse Cases Have? Just from these examples, you can gather that there are broad groups of damages for which you can recover: economic, non-economic, wrongful death, etc. In which and for how much you obtain from each of these defends on the facts of your injury and case. One of our attorneys can explain to you the range of recovery that might be available if you brought a lawsuit. From the beginning, we will bring you onboard our expert team of attorneys but we will also make sure that every base is covered so that you have nothing to worry about. Our attorneys are proud to serve individuals and families across Florida including the following cities: Miami, Orlando, Fort Lauderdale, Tampa, St. Petersburg, Jacksonville and Fort Myers to name a few, contact us today for a free review of your case. Florida is home to a very large elderly population and with that comes significant instances of abuse, neglect, bed sores, malnutrition, medical malpractice, dehydration, and other misconduct. While they may not know the next step to take, when clients speak with us they know the endgame. That is why they wonder and ask “What is my Florida elder abuse case worth?” To begin to answer that question we provide the following information. It notes and highlights plaintiffs’ recovery in broad fields. However, what it does not do is give you a contextualized understanding of how your case will unfold or what compensation you could bring home. To learn about that, please call one of our experienced attorneys. He or she can also walk you through the various stages of your lawsuit so you know exactly what is going to happen. Compared to the national average, Florida elder abuse plaintiffs recovered about $25,000 more in compensation. Compared to the national average, Florida nursing home abuse plaintiffs recovered about $120,000 more in compensation. Compared to the national average, Florida bed sore plaintiffs recovered about $15,000 more in compensation. Compared to the national average, Florida elder abuse plaintiffs recovered nothing 1% less than others. Compared to the national average, Florida nursing home plaintiffs recovered nothing about the same as others. Compared to the national average, Florida bed sore plaintiffs recovered nothing 4% more than others. Compared to the national average, Florida elder abuse plaintiffs recovered more than $1,000,000 4% more than others. Compared to the national average, Florida nursing home plaintiffs recovered more than $1,000,000 3% more than others. Compared to the national average, Florida bed sore plaintiffs recovered more than $1,000,000 4% more than others. This incident involved an elderly man named Joseph Fernandez and the nursing home where he lived. Lawyers for the gentleman brought a lawsuits after he died from injuries he sustained from following out of a chair. However, upon closer examination, they discerned that this was only one example of the neglect and abuse that he suffered during his time there. He also experienced developing bed sores and other serious conditions that affected his quality of life and gave him great pain and suffering. While the defendants denied these allegations, they could not deny the plain facts of the injuries that he suffered while under their care. Therefore, it was no surprise when the jury returned a verdict of $550,000 for the plaintiffs-$50,000 for medical bills and $500,000 for loss of services. This lawsuit was a wrongful death action. An elderly man passed away at his Florida nursing home and representatives of his estate thought it was because of the negligent care the facility provided him. To evidence this point, they showed he suffered from bed sores and fell out of his bed, fracturing his hip, as well as other examples. The defendant denied that his death was because of these incidents or because of any of its conduct at all. It states that he was contributorily negligent and could not pursue any damages because he died from his own conduct. However, the jury disagreed and awarded the decedent’ family $528,000. NAME: HAYNES VS. HOME AWAY FROM HOME OF HOLLY HILL INC. This affair escalated rapidly and ultimately led to the death of a nursing home resident. Prior to her passing, she brought suit against the nursing home facility because, in her opinions, it’s negligent care and conduct led to her sustaining bed sores and other pain and suffering. Additionally, in her lawsuit, she claimed that staff should have transferred her to a hospital or other medical facility quicker than they did. The result was that she had to endure great pain. Her complaint sought various damages related to these injuries. However, the defendant nursing home refused to give in and admit that they were in any way responsible for any problems the woman faces (who died shortly before trial). Therefore, the jury had to sort out who was at fault-they sided with the decedent’s estate and awarded the plaintiffs $150,000 in compensation for their damages but nothing for punitive damages. The plaintiff in this lawsuit was a former professional wrestler. After living at a number of nursing homes and medical facilities, he transferred to his final home where he began to suffer from bed sores. Quickly, they began to worsen and became infected necessitating his transfer to a hospital. Sadly, the man died shortly after his arrival at the emergency room. His representatives sued the last nursing home he lived at and claimed that their negligent care was responsible for the emergence of bed sores, infection, rapid health decline, and death. For their part, the nursing home objected and countered that his overall medical condition made his death inevitable or at the very least was due in part to the actions of his prior residences. The jury found that the defendant home’s actions was the legal reason for them-wrestler’s death and awarded the family $1,775,000: $800,000 for pain and suffering and $975,000 for punitive damages. NAME: BURKE VS. SUNSHINE ASSISTED LIVING INC. ET AL. This litigation was brought on behalf of a 77-year-old woman who died after she had spent merely four months at a nursing home. Prior to entering the facility, she was diagnosed and suffering from Parkinson’s disease. However, her problems only worsened upon her admittance to the nursing home. She experienced falls, bed sores, and a general decline in health while there resulting in her death. In the subsequent lawsuit, her lawyers argued that the defendant facility was to blame and sought damages related to these injuries and her pain and suffering while alive. The jury awarded the decedent’s estate $1,670,000. There is no way to reverse the poor care which likely contributed to the development of pressure sores in your loved one’s situation. Fortunately, Florida law does provide for the family of a patient who developed bed sores while at nursing home or medical facility to file a lawsuit for their negligent care. Contact our office for a complimentary review of your situation with a lawyer who has experience recovering financial compensation for situations like you.